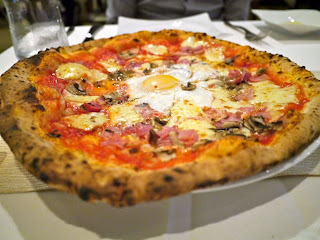 An Italian colleague of mine recommended Enoteca L'Operetta at Boat Quay for authentic Neapolitan pizza. 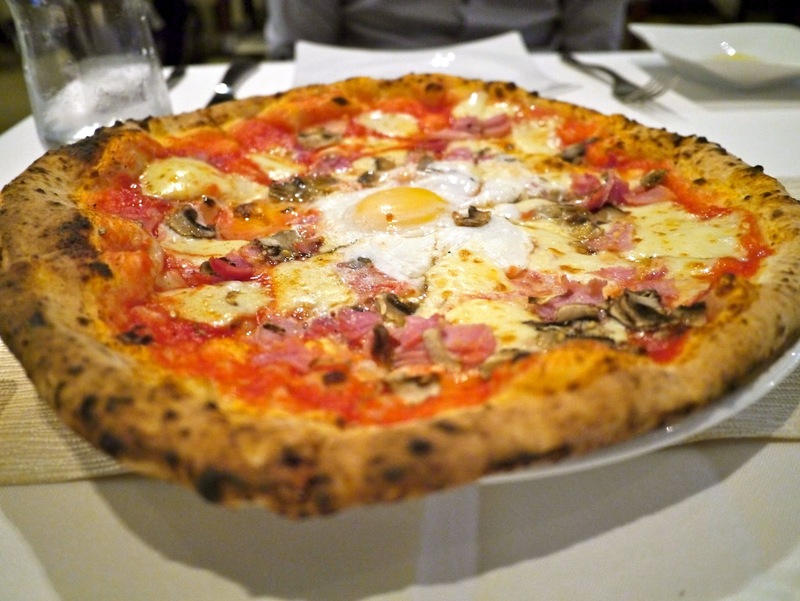 Of course I will trust an Italian completely for pizza recommendations, and so I headed there the following day for a dinner date with the husband over the weekend. 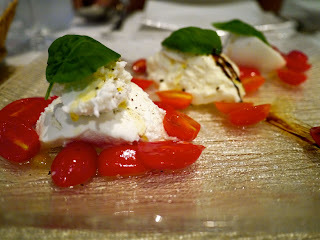 We had the Tre Gusta Caprese (SGD 38.00) as an appetizer. These are three types of fresh cheeses served with cherry tomatoes. The cheeses were burrata, bufala and ricotta. Each was wonderfully smooth and I always appreciate the subtle flavor of Italian fresh cheeses. The cherry tomatoes were also commendable -- they were so sweet and fruity. For pizza, we went with the chef's recommendation called Bismark (SGD 26.00). This had tomato sauce, mozzarella, prosciutto, parmesan, and egg. This was absolutely delicious. The toasted crust just melts in your mouth and the texture was just incredible. The tomato sauce was extremely fresh and the toppings were very delectable. Suffice it to say this is one of the best pizzas I've had so far. We also had the Pappardelle rosse al pomodoro con ragu di kurobuta (SGD 28.00). The pappardelle pasta was made with tomatoes while the sauce had black pork ragout and porcini mushrooms. This was nicely flavored - the tomato pappardelle gave the perfect amount of acidity to the dish which balanced out the savory pork. 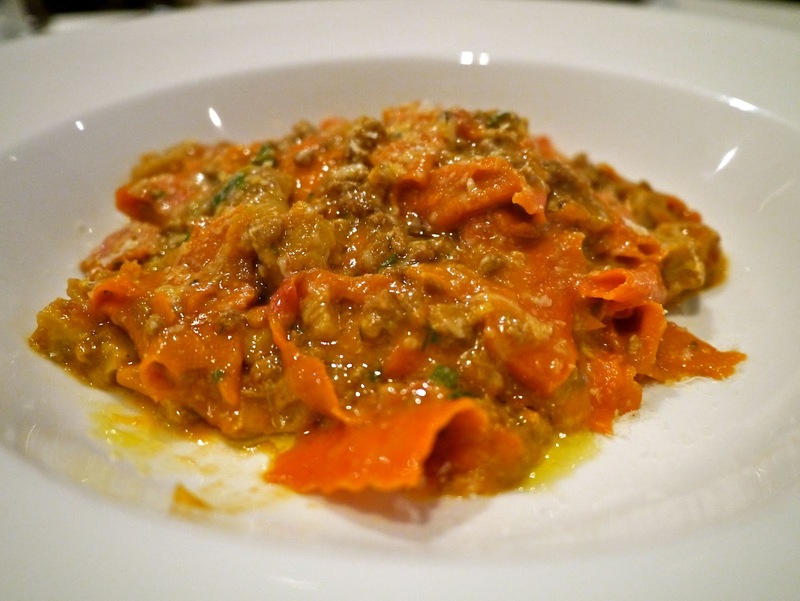 Food was excellent at Enoteca L'Operetta, and I was impressed with everything we ordered. Service was very warm and efficient. Pricing is not too bad as well for the great quality of their dishes. This restaurant has become an instant favorite, and I will definitely be back to try out their other pizzas and other menu items.